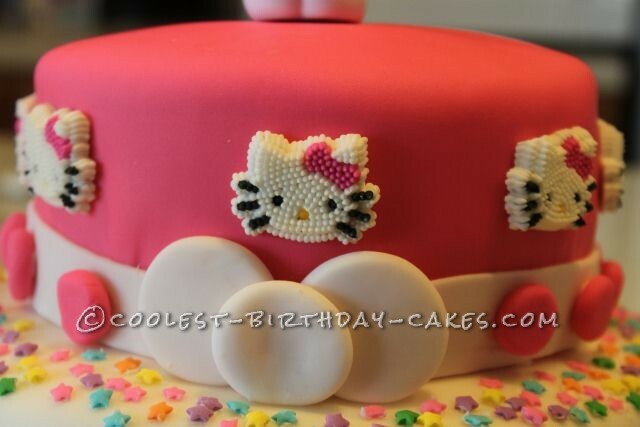 My daughter have always been Hello Kitty CRAZY and every year for the past 4 years I’ve been making her birthday cakes and taking them to her school so she can celebrate with her classmates. 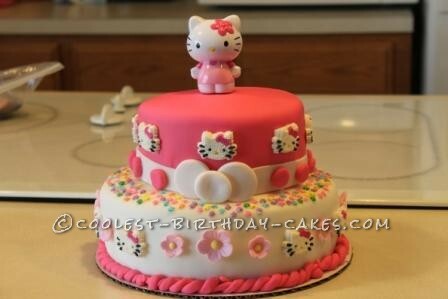 The reaction of the kids and my daughter from the hallways till the cake makes it to the classroom are just priceless!! I always make the red velvet cake from scratch with the cream cheese frosting . 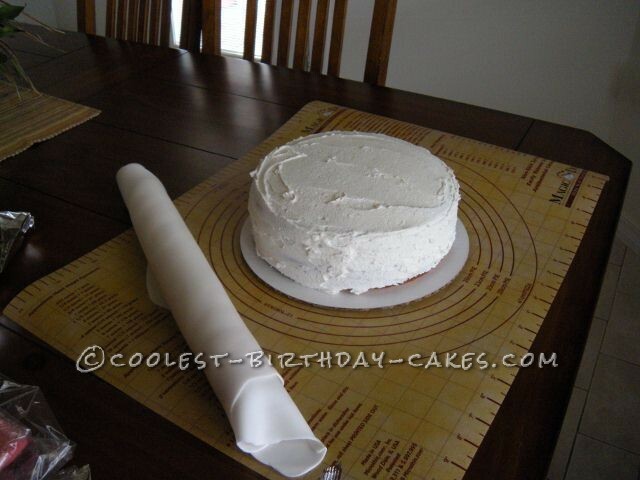 I use an 8″ round pan for the base of the cake and a 6″ round pan for the top layer. Once the cakes are completely cooled, I start spreading some frosting on top of one round cake and then inverting the second same sized cake on top of it and completely covering it with frosting. I left them in the fridge overnight for the frosting to firm up and the next morning I dabbed a little icing color on pieces of fondant till I get the right colors and rolled it to 1/2 inch thick using the rolling pin. 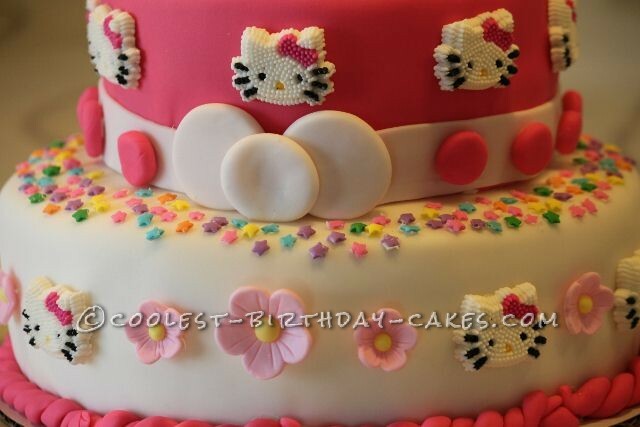 I then start putting the cake together. 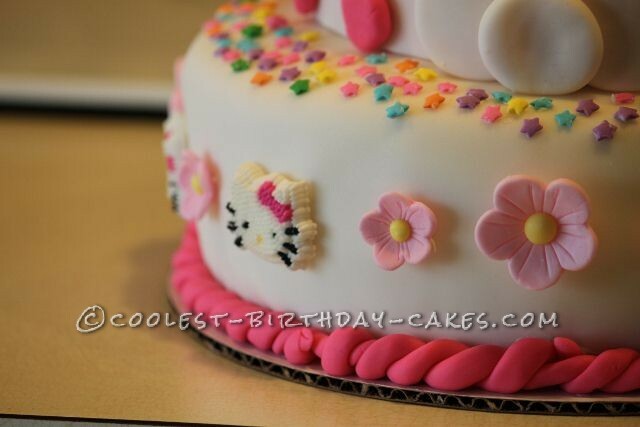 I used Hello Kitty cup cake toppers and store bought sugar flowers as decorations. 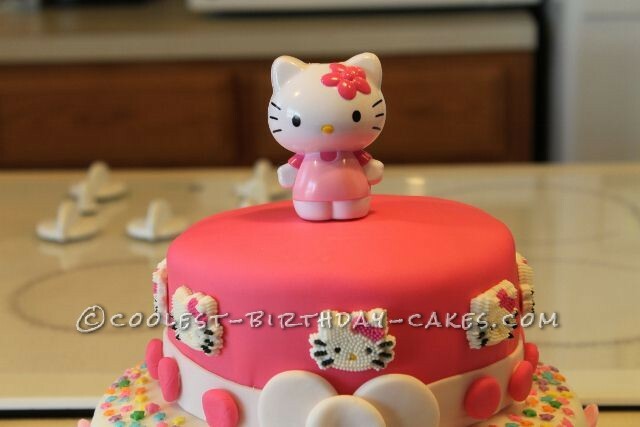 I couldn’t find the right size cake topper anywhere so I used a Hello Kitty flashlight key chain and just removed the chain part..voila! 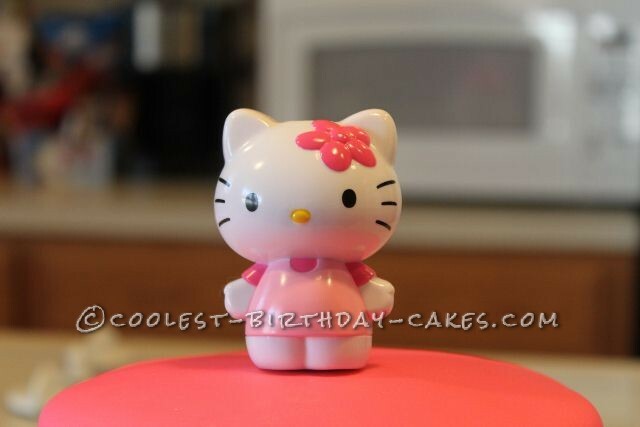 Instant cake topper that is re-usable and nobody even noticed that Hello Kitty had an ON and OFF switch at the back.